Cristiano Ronaldo’s time at Manchester United influenced Diogo Dalot to make the move to Old Trafford this summer. Manchester United were looking to improve their defensive options ahead of the new season, and Jose Mourinho decided to provide some competition for the ageing Antonio Valencia, and brought in fellow countryman Diogo Dalot in June. The Red Devils managed to snap up the young defender from Porto for a reported fee of £17.4 million. Dalot is yet to make a strong impression on the United first-team, as he continues to recover from last season’s knee injury. The full-back returned to Carrington earlier this month, and is preparing to compete for the right-back position. He was impressive for the Mancunians in his first couple of appearances, making his club debut against Young Boys in the Champions League. When he makes his Premier League debut, Dalot will become the first Portuguese defender to feature for Manchester United in the competition – 5th player overall from the country after Bebe, Nani, Joel Pereira, and Cristiano Ronaldo. Ronaldo is the most successful player in the list. 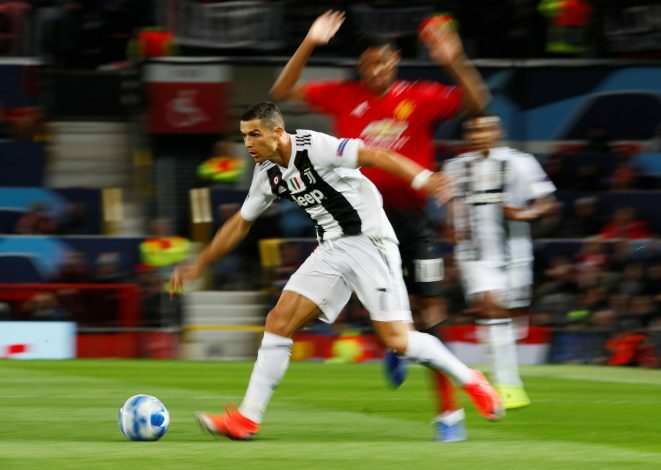 The now Juventus star scored more than 100 goals for the Red Devils during his time, lifting 3 Premier League titles, along with the Champions League trophy in 2008. In a recent interview with MUTV, Dalot revealed that Ronaldo is one of the reasons why he chose a move to Old Trafford this summer.